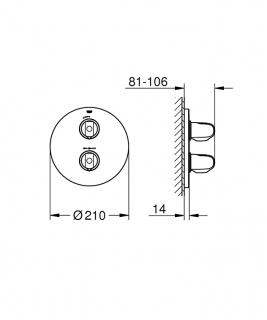 For installation in combination with the GROHE Rapido T concealed thermostat. Upgrade your bathroom with this glossy trim set for your shower. With its ergonomic metal handles, water temperature and volume can be controlled with minimal effort, even with soapy hands. The SafeStop scalding protection prevents users from accidentally turning up the temperature. The integrated EcoButton allows you to reduce your water consumption by up to 50%. 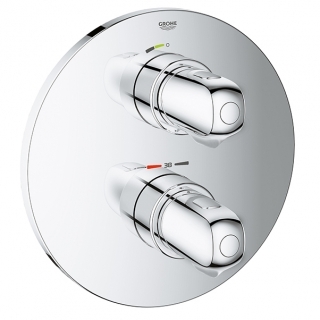 Thanks to the scratch resistant GROHE StarLight chrome finish, this glossy trim set is easy to clean. 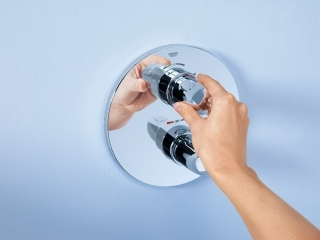 With the GROHE QuickFix system, its installation is straightforward and hassle-free. 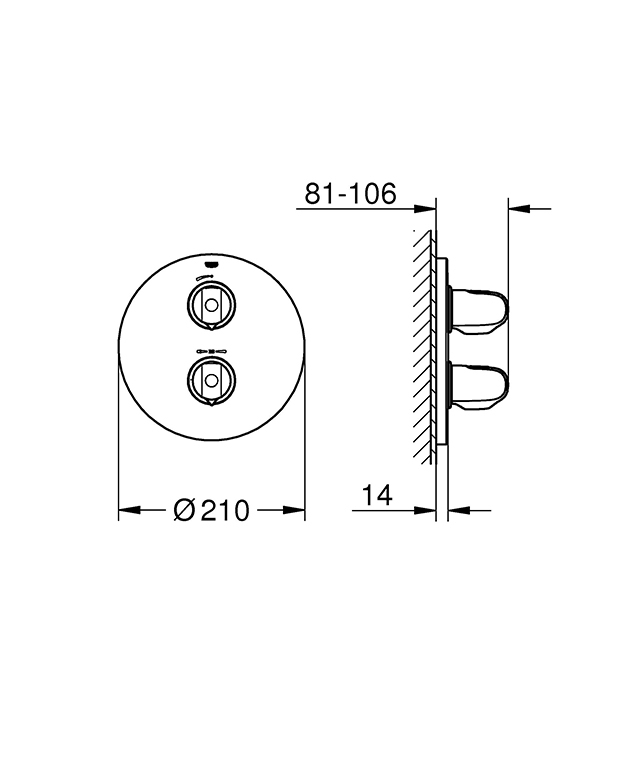 Please note that this trim must be installed in combination with the GROHE Rapido T concealed thermostat (35500000). Engineered with the precise GROHE TurboStat technology, it reaches the desired water temperature in a fraction of a second and maintains it reliably throughout your shower.